At 36-years-old, there won’t be many younger promoters than Bristol’s Jamie Sanigar but don’t be deceived by his age. The Middlesex University business graduate has been around boxing all of his life. As the eldest child of Chris Sanigar, a nuts-and-guts welterweight who fought in all corners of the globe in the 80s, boxing runs through Jamie’s blood. For the past several years, Jamie has promoted a series of ‘small hall’ shows in Bristol, Newport and Merthyr Tydfil. Some received coverage from Eurosport but the dates dried up and some of the events have sometimes run at a loss. They continued though, continuing the development of prospects and it has been an investment for the company, Sanigar Events. After paying his dues, what was Jamie’s eventual reward? A co-promotional agreement with Barry McGuigan’s Cyclone Promotions to host regular shows live on Channel 5, broadcasting to the terrestrial television channel’s audience of millions. Jack pot? Fingers crossed. 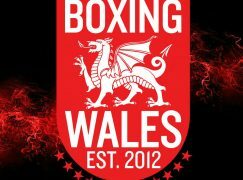 It will start on Saturday 14 May at the multi-million pound Ice Arena Wales in Cardiff Bay. 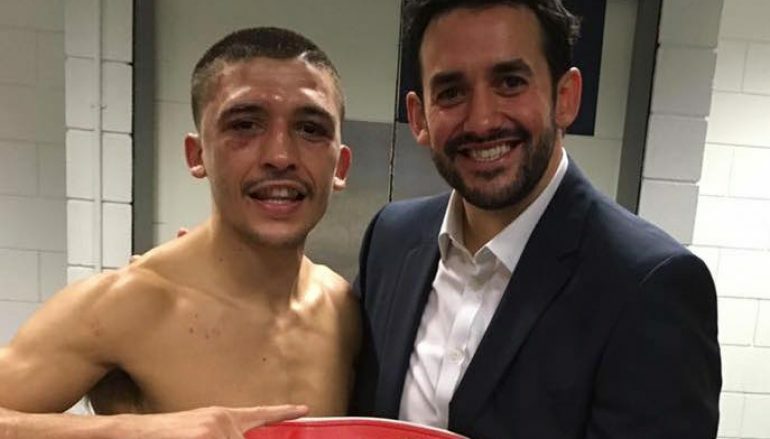 With no suitable venue in the West Country, Bristol’s switch-hitting Lee Haskins (32-3, 14KO) will defend his IBF world bantamweight belt against Mexico’s once-beaten Ivan Morales (29-1, 17KO). They received offers from Asia but the temptation to bring Haskins to home soil for his first championship defence was too much. Is it the biggest occasion of Jamie’s managerial career? He thinks so. 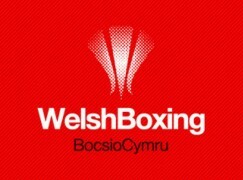 Chief Supporters on the undercard include Barry Town’s rising flyweight star Andrew Selby (4-0, 3KO) and Cardiff’s hungry cruiserweight contender Craig Kennedy (14-0, 8KO). The pair will fight for British and IBF International titles respectively, facing ex-English titlist Louis Norman (11-1-1, 2KO) and Belgium’s giant Joel Tambwe Djeko (9-1-1, 4KO). As beneficiaries of the new set-up, both Selby and Kennedy, who have come from completely different routes, represent a path of progress that novice professionals can aim towards. Sister broadcaster Spike TV (Sky Ch. 160) will show the up-and-comers on the undercard, which includes two weight Celtic champion Mitch Buckland (10-0, 2KO) and ex-Welsh Area ruler Frankie Borg. For them and their peers, Jamie insists they must seize their chance to impress on a bigger and potentially more fruitful stage. Jamie said: “Andrew [Selby] and Craig [Kennedy] are the first two on the production line and from there, there’s great talent coming though. Wales has always produced great fighters. There’s the likes of Nathan Thorley and Tony Dixon who are two of them coming through now. 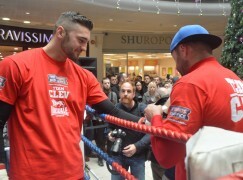 While winning is essential for the project to move forward, so is the support the boxers receive. Cyclone Promotions and Channel 5 are unlikely to return to Wales if attendance targets at the 3,500 capacity arena aren’t met. A bigger event means the promoter’s overheads are increased and unlike the shows in Newport or Merthyr, this is one night that can’t afford to cost more than it makes in return. Explaining the strain, Jamie said: “We expect a busy, packed house. We need the support, big time. It can be very tempting sometimes to sit on the sofa when it’s free to view but we need that Welsh support. People need to understand that without that support, these shows won’t happen. It finances the shows, boxers have got to be paid and the only way they can get paid is through income generated through the event. 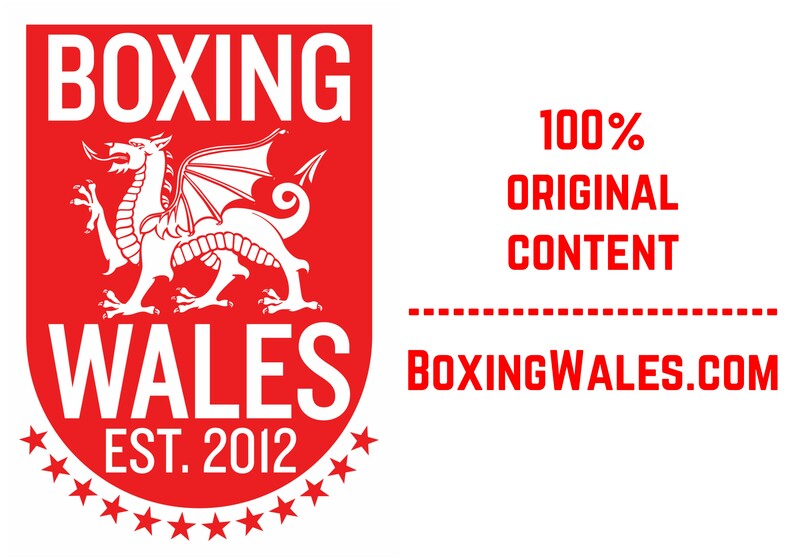 LIVE RESULTS: Black Friday punch up in Pontypool!